Around October, the arid landscape of South Africa's west coast blooms with millions of wild flowers and the sight draws tourists from all over the world. But the ongoing drought conditions in sub-Saharan Africa are leading to fewer flowers and fewer tourists. 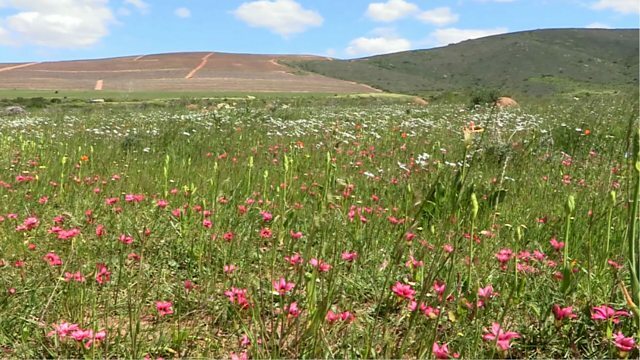 From the town of Darling in South Africa's Western Cape, the BBC's Jessica Preyser reports.